Cribbage is a card game for two or three players. Originating from early seventeenth century England, this game has become one of the most popular games in the world. The objective of the game is to be the first player to score a target number of points. The cribbage board is used to keep track of the cumulative points. 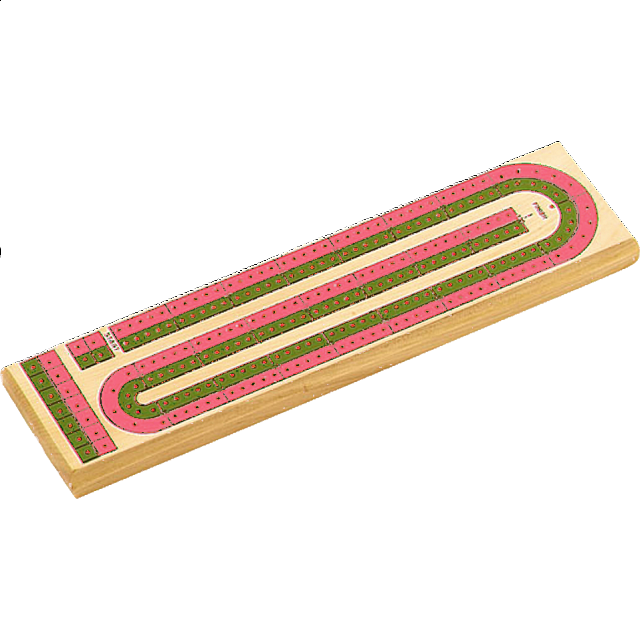 Includes: Wooden 2 Track Cribbage with screen printed tracks and 6 color matching plastic pegs. Storage compartment on backside.